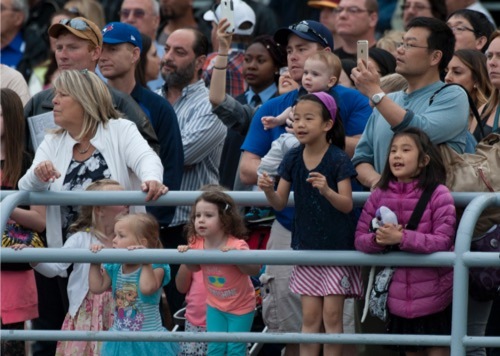 With a corporate commitment to leveraging the power of horse racing to improve the quality of life in our community, Woodbine Entertainment works with many valuable community organizations and causes that contribute so much to the life, health, and vibrancy of our neighbourhoods. Our involvement and investment to leverage the power of horse racing to improve the quality of life within our communities is an integral part of our corporate culture. We target our human and financial resources to aid those in our communities who need it most. Over the last decade, Woodbine Entertainment has provided over $10 million in combined corporate and in-kind contributions. We have aligned ourselves with leading organizations with whom we can make a meaningful and measurable difference. These include: social agencies, equine retirement associations, healthcare providers, educational institutions and local businesses who work toward the betterment of local area residents. A “Caring Company” since 1997, Woodbine Entertainment is a member of Imagine Canada, a national program that promotes public and corporate giving, volunteerism and support to the community. A “Caring Company” donates 1% of pre-tax profits to charities. As a company able to create stakeholder value, Woodbine Entertainment generates an annual economic impact of approximately $4.56-billion, of which $2.16-billion is directly attributable to our Rexdale facility. We support 7,500 full-time equivalent jobs within the City of Toronto and employ over 10% of the workforce in the Rexdale area. 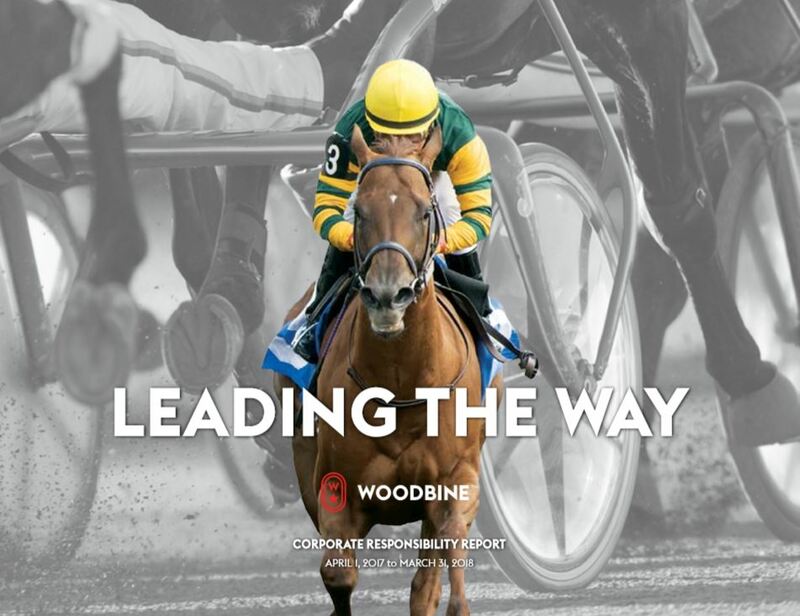 There are over 2,500 workers who care for and train the horses in Woodbine’s stable area who, with specialized skills, would have difficulty finding employment outside the horse racing industry. We will continue to develop a greater understanding of the needs of our community. And by doing so, continue to find new ways to use horse racing as the platform to better integrate ourselves into the community as a strong and caring partner. This obligation is embedded in our corporate culture and implemented through our “Corporate Community Investment Program”. We proudly assist numerous programs and charitable organizations with financial donations, sponsorships and in-kind contributions. As a part of our multi-dimensional entertainment business, Woodbine Racetrack is a rural hideaway unlike any other in the city. In many ways, Woodbine is where Ontario’s farming community connects with Toronto’s entertainment community. Our strong and inherently linked connection to the province’s agricultural sector is paramount for us – and our rural community stakeholders – to remain economically viable. Often called a ‘village within a city’, it’s a self-sustaining community, where people not only work – often when the city sleeps – but where upwards of 300 grooms, exercise riders, blacksmiths and hot walkers live year-round. 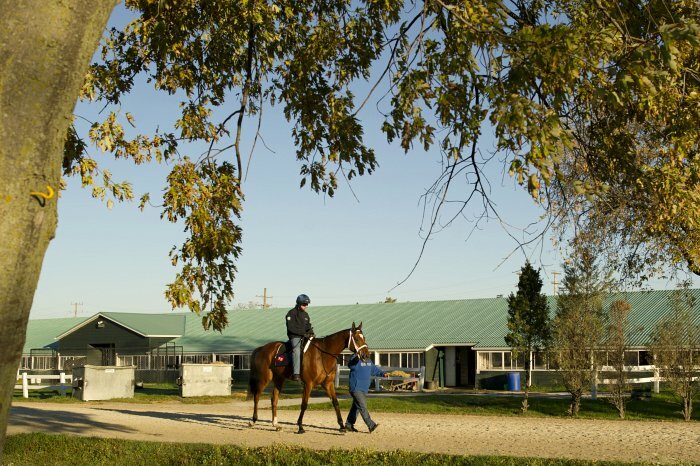 Over 2,500 skilled and passionate labourers are employed at Woodbine’s backstretch – more than 1 worker for each of the 2,000 horses stabled here. 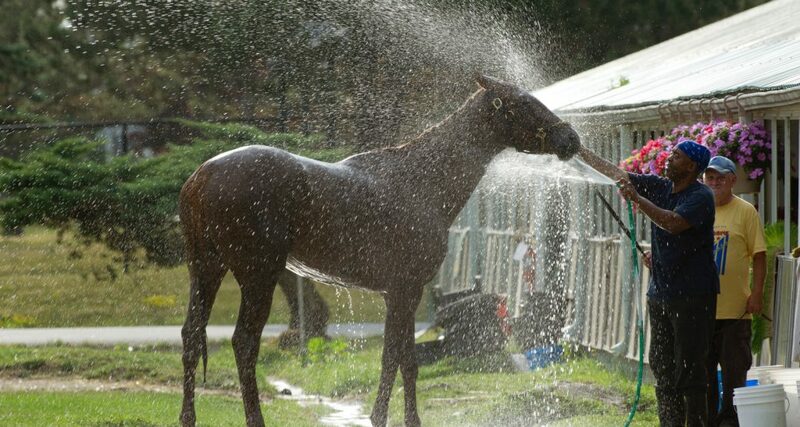 Working hard and long hours at this 187-acre facility, they ensure the safety and training of the horses in their care. In Ontario, the horse racing industry is the third largest sector of a multi-billion dollar economy that employs over 60,000 people. Gross purses paid from all sources go directly to owners of horses who, in turn, pay related expenses such as farm and labour costs, transportation, feed, blacksmiths, veterinarians, trainers, jockeys and drivers. We operate with the highest level of integrity and accountability, building on the trust we have earned, to ensure the long-term financial viability for our business and for those working in rural Ontario and in the agricultural community who depend on our success for theirs.